Good morning! I'm excited to be hopping with my alumni friends and the 2013 team over at Peachy Keen Stamps this morning! 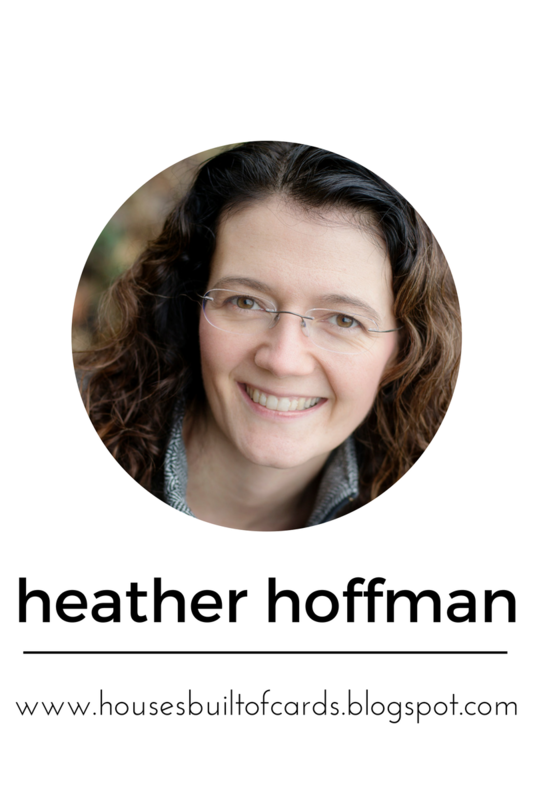 You should have arrived here from Michelle - if not, you might want to check the entire line-up at the bottom of this post...I know there will be tons of inspiration, and one pretty fabulous prize! 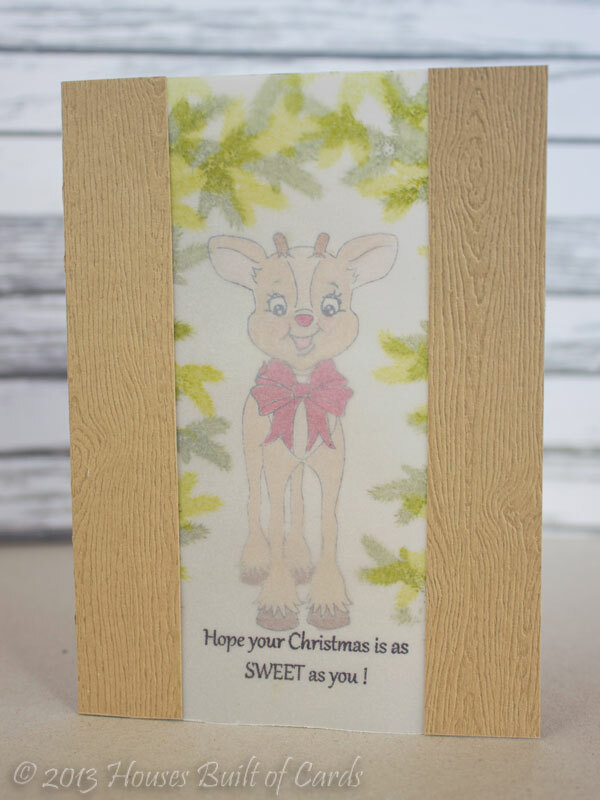 I pulled out my favorite Peachy Keen Christmas set - the November 2012 Kit of the Month to make my card - using a technique I was inspired by on THIS post at Paper Crafts Connection to stamp two layers of vellum, then stack them together! 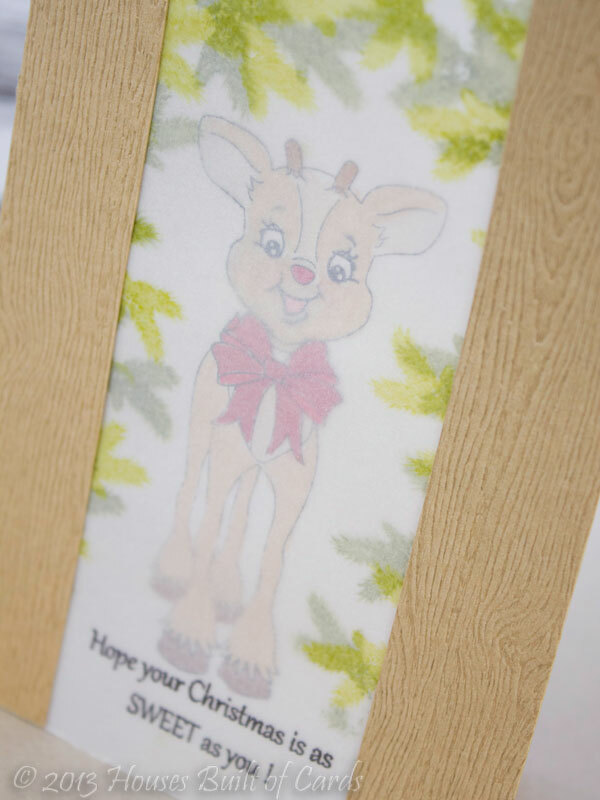 Here is a small picture of this kit - I love the deer! 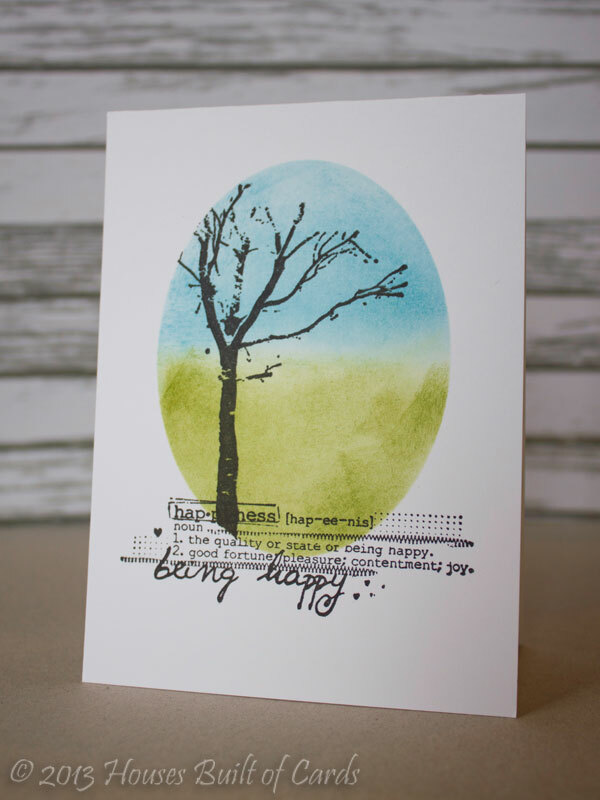 But I also wanted to use one of the adorable sentiments, and that leafy branch stamp - there is always so much fun variety in these sets, and for such a great deal! You really just can't go wrong! 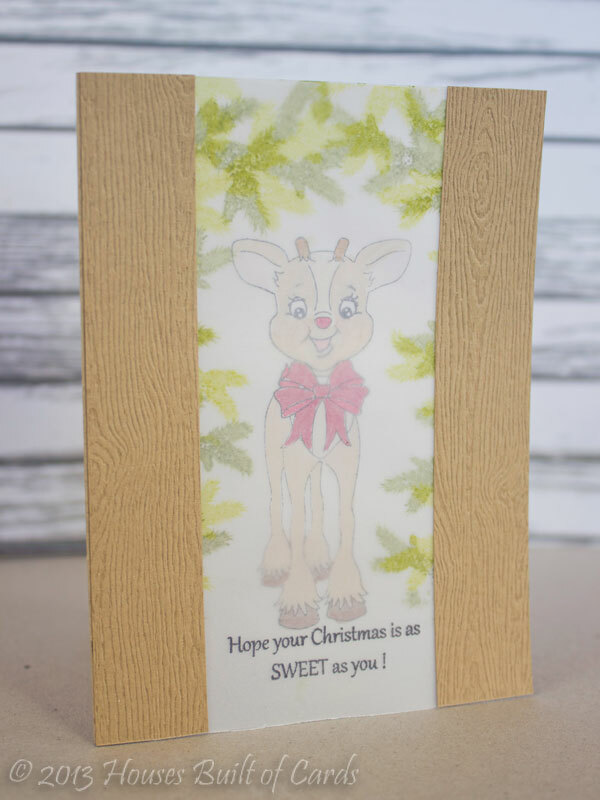 I started off by stamping the deer on one piece of vellum, as well as the branches in darker ink. I colored the sweet deer in with my Copic markers. I layered another piece of vellum over the top, and stamped the branch in a lighter green ink. 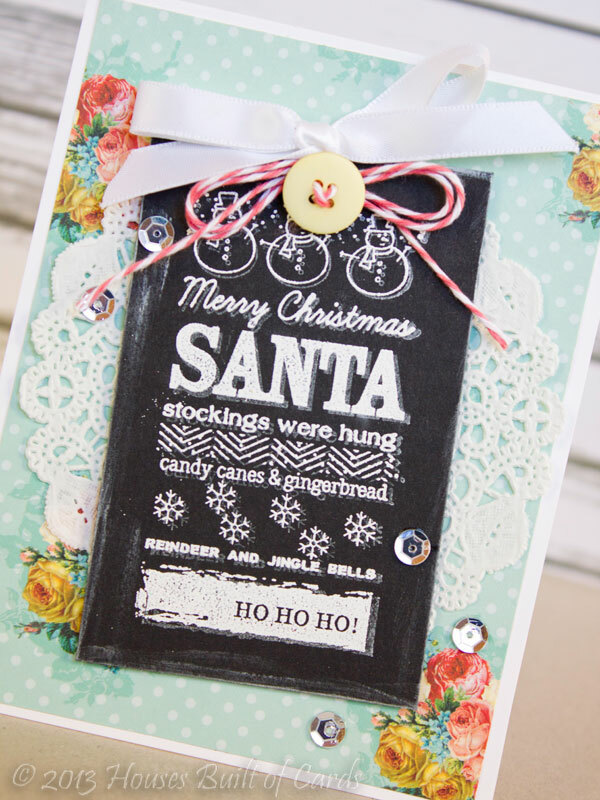 The ink I used was MFT dye ink - and the trick, I found, was to use my heat gun and thoroughly dry it before touching it! That was the only way I could find to get it not to smear! For the deer, I used black Staz-on ink. 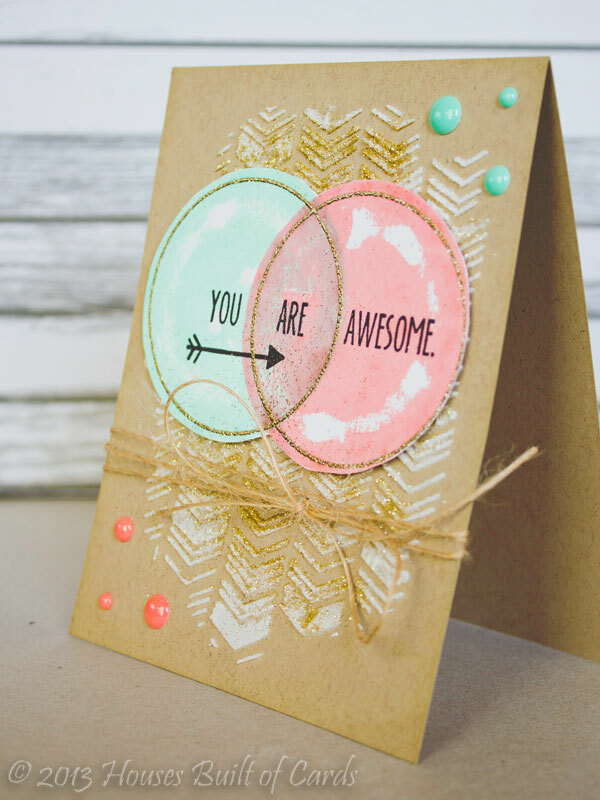 I stamped the sentiment on the front layer, then attached them together, before adding a strip of Avery Elle woodgrain paper on each side, and attaching it to a card back. The front kind of looks like a stained glass window - love the effect it gave! You're next stop on the hop is the amazing Gigi! Don't forget to leave a comment before you leave for a chance to win the giveaway! Comments will be accepted until Midnight Central December 1st! Thanks for stopping by - and have a wonderful weekend! Good morning! I'm sharing on the Shop Pumpkin Spice Blog today! 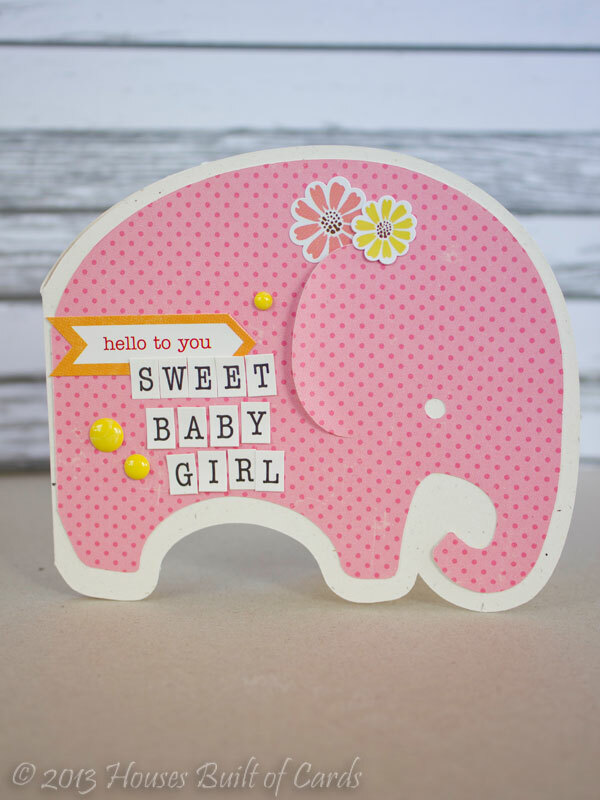 I recently had a brand new baby niece born - so I had to make a sweet little welcome card for her! I started off by creating a shape card using my Silhouette Designer Edition Software, then cutting it out with my Silhouette Cameo and some October Afternoon pattern paper. I curved up the ear a bit when I attached my pink polka dot paper to my cardbase, then tucked a couple of flowers from an Echo Park sticker sheet next to it. The tag sticker, and alphas came from a different Echo Park sticker sheet, and I finished off with a few MME Enamel Dots. Good Monday morning! Can you believe that it is almost Thanksgiving...and then December is right around the corner? Yeah...me neither! 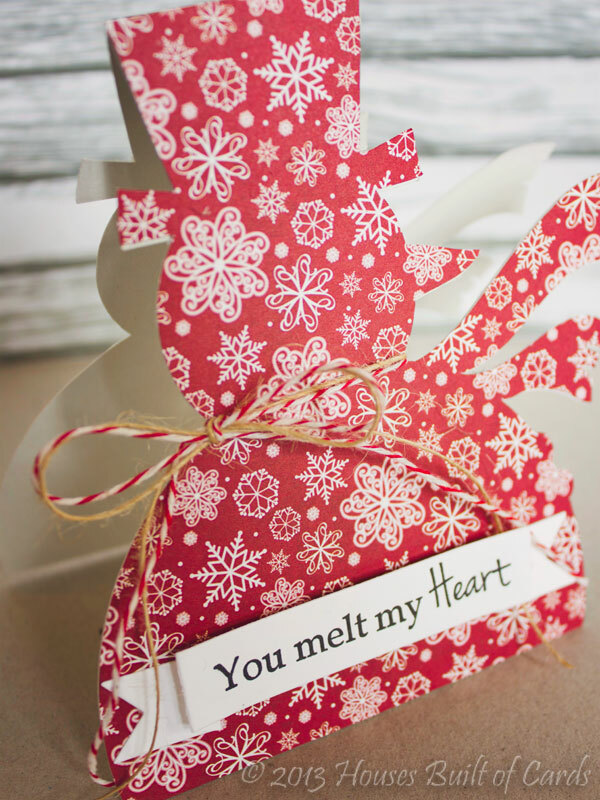 I used my Silhouette Cameo to weld together this snowman into a card shape, then cut a front layer of pattern paper. 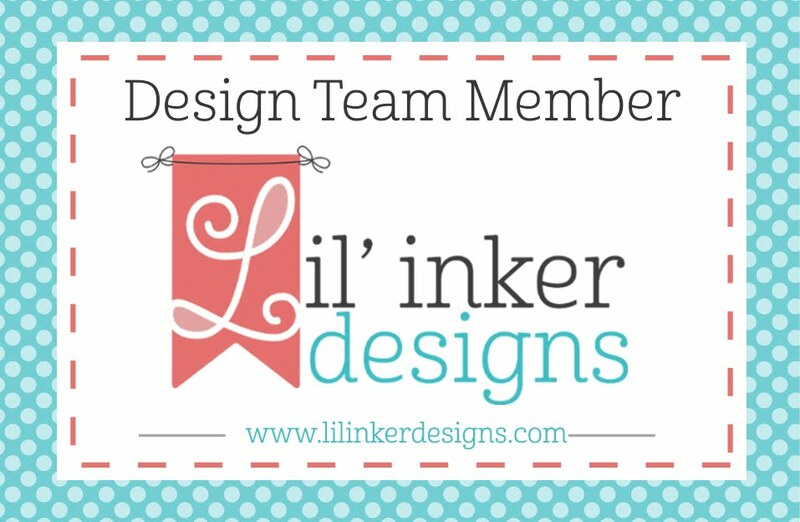 Next, I added a banner using Straight Ribbon Banners Dies (one of my new favorite dies!) 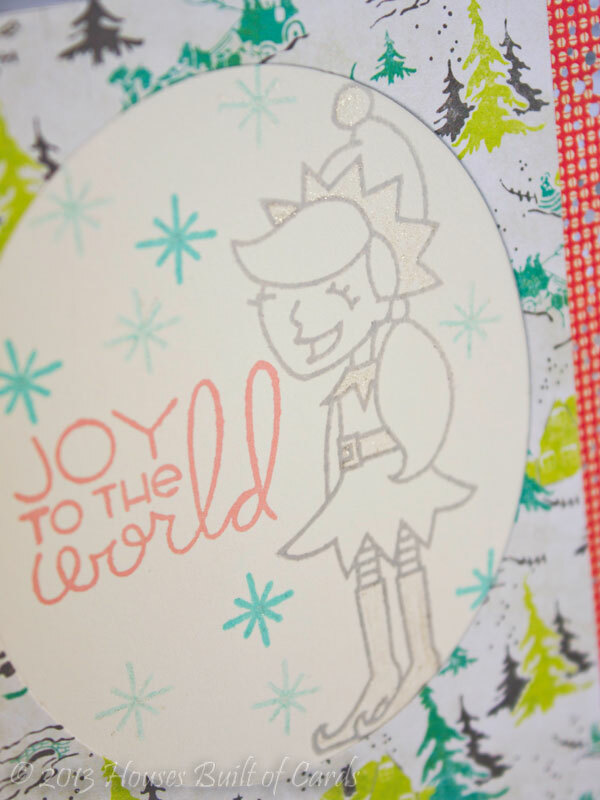 and a sentiment from the coordinating Christmas Banner Sentiments stamp set. Finished off by tying a bow with some Cherry Red Traditional Bakers Twine and Natural Jute Twine. 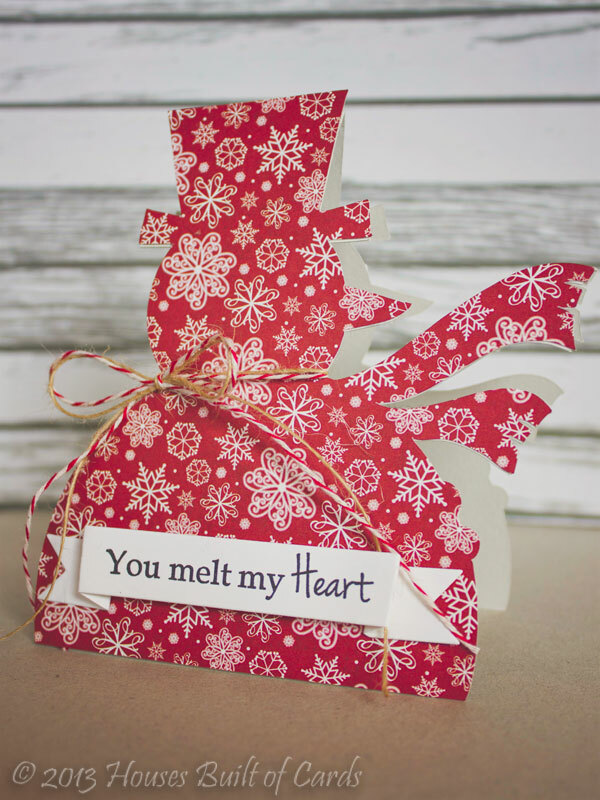 Can't wait to see the shaped cards you come up with this week! 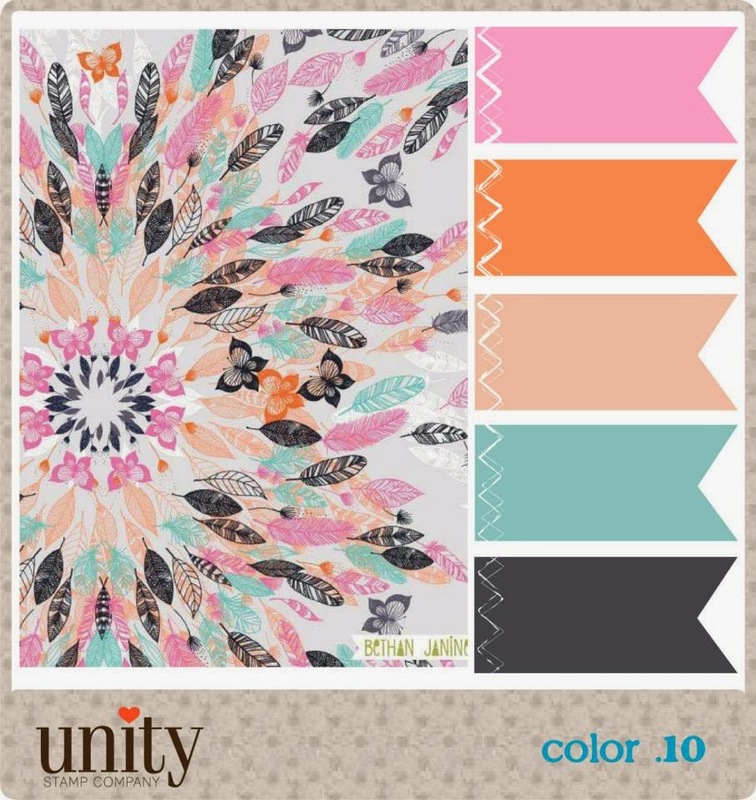 Make sure and head over to My Craft Spot to check out the rest of the Design Team inspiration, and to link up your own creations! Hey everyone! We've got such a treat in store for you this weekend! To celebrate all of those beautiful Ribbon Carousels being used around the world (yes, we've shipped Carousels to 27 countries now!) 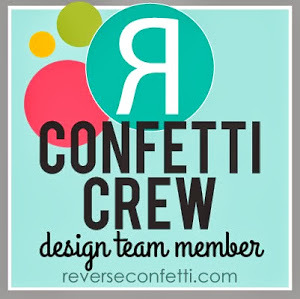 to keep ribbon, twine, washi tapes and spooled items tidy, we'll be hopping around our amazing Crewmates blogs this weekend showing you all of the beautiful and creative ways that our designers use THEIR Ribbon Carousels! Here is mine - freshly assembled and loaded - and I still have LOTS of room on it! Still can't believe how much it will hold! I also have some tags to share, using some jute twine right off the carousel! I used some Webster's Pages pattern paper, a couple of Lifestyle Crafts dies for the doilies, and the main tags were cut with a My Creative Time Die. Added some lace trim, a Paper Smooches Sentiment on a hand trimmed banner, and that jute twine tied in a bow with an October Afternoon button. 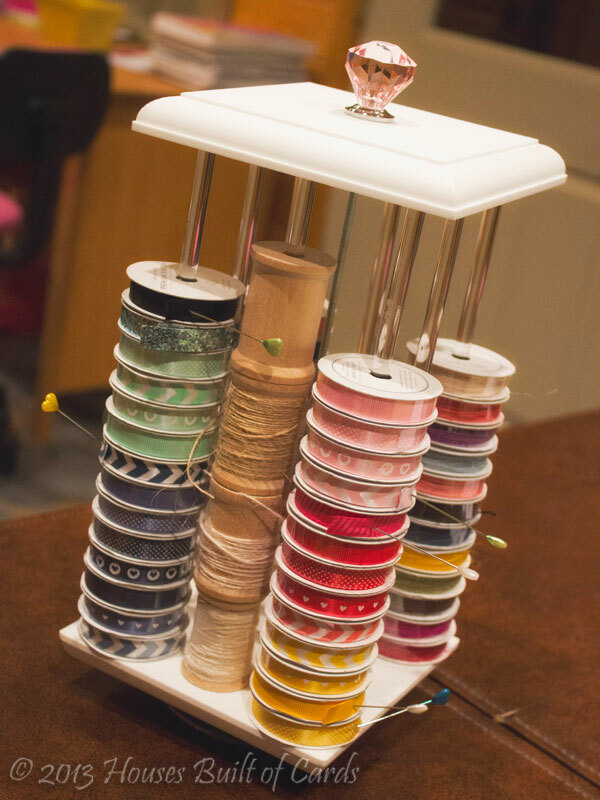 Would you like to win your very own Ribbon Carousel? Here is what you need to do: Visit the Designer’s blogs that are participating in each day of the blog hop and comment on their posts as you go. One of the Crewmate’s Holiday blogs (from each hop day) will be randomly chosen as the ‘it’ blog and a winner will be picked using a random number generator from the comments left on that Crewmate’s Holiday Blog Hop post. You will not know which blog has been chosen so the more Crewmate Blogs you comment on, the better your chances are of winning your very own Ribbon Carousel! The Blog Hop will be open until 11:59 PM Eastern Time Monday, November 25th with the winners being announced Tuesday morning on the Ribbon Carousel Blog. 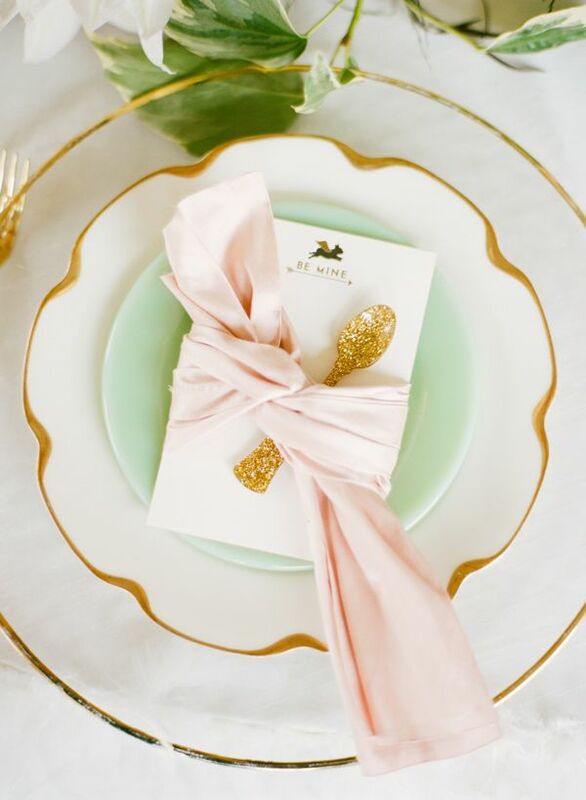 Already have a Ribbon Carousel? Share a photo of YOUR Ribbon Carousel on our FaceBook page OR email it to info@ribboncarousel.com, and we'll share it for you! 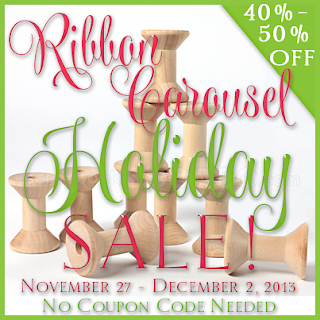 You'll be in special drawing for your choice of a Ribbon Carousel or 4 packages of spools! For those that want a Ribbon Carousel NOW! Mark your calendar! We'll be having our LOWEST SALE PRICE of the YEAR sale on the Ribbon Carousels and Spools beginning Wednesday, November 27 - Cyber-Monday, December 2! No coupon code needed! Just go to our store and enjoy some happy shopping! 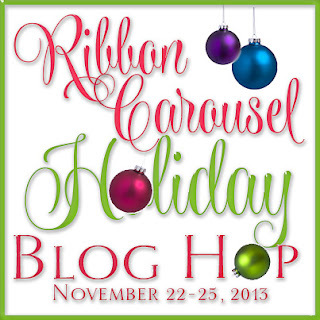 Here are the participants for Day 2 of the Ribbon Carousel Holiday Blog Hop. Enjoy! Good morning! Just dropping by with a quick card for Unity Friends with Flair - this is a card I put together for a card class I am teaching in a couple of weeks - my first one ever! Eeeek! 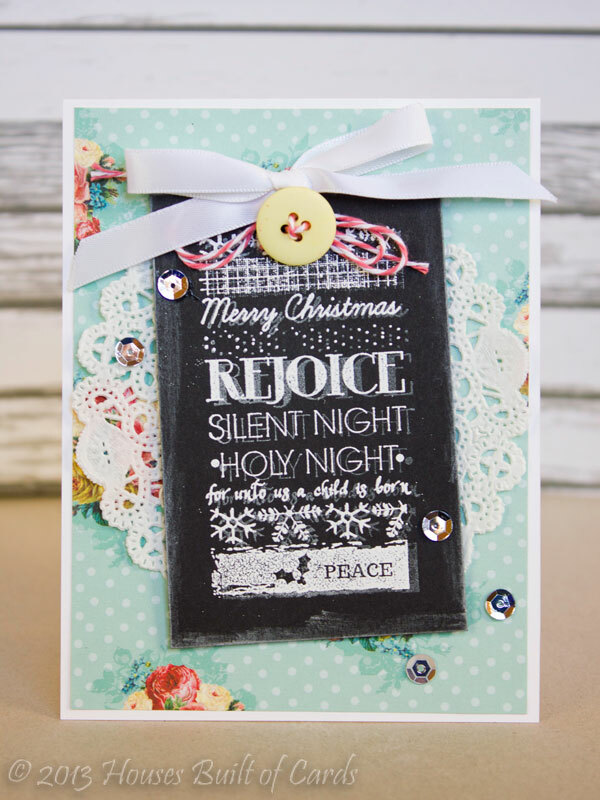 I used two different Wit and Wisdom stamps to do the chalkboard technique - Rejoice for our Silent Night and Santas, Stockings, and Candy Canes. Good morning! 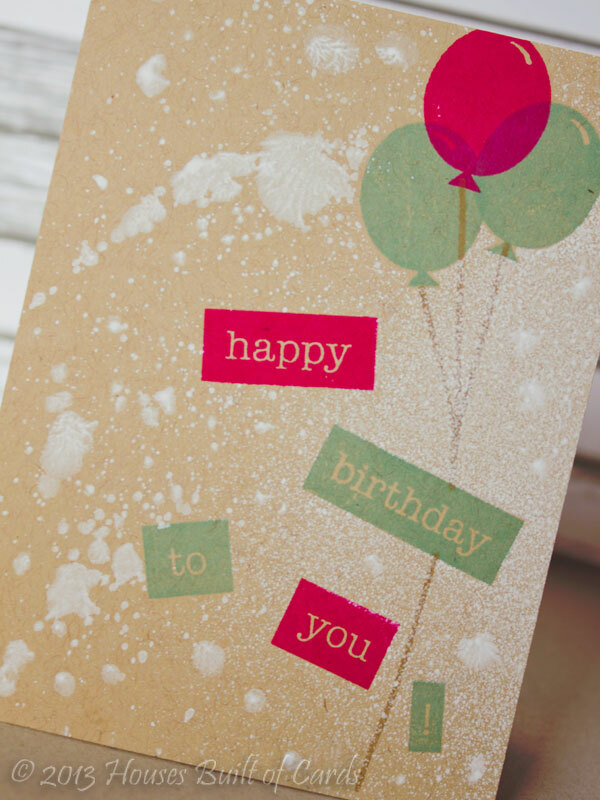 I'm sharing a card that I actually made some time ago for a publication call and wasn't picked up! I was waiting for just the right time to share it, since I really loved it! 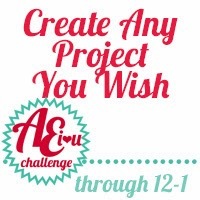 And when I saw the new Avery Elle November Challenge - Create Any Project You Wish - I knew it was the perfect opportunity! 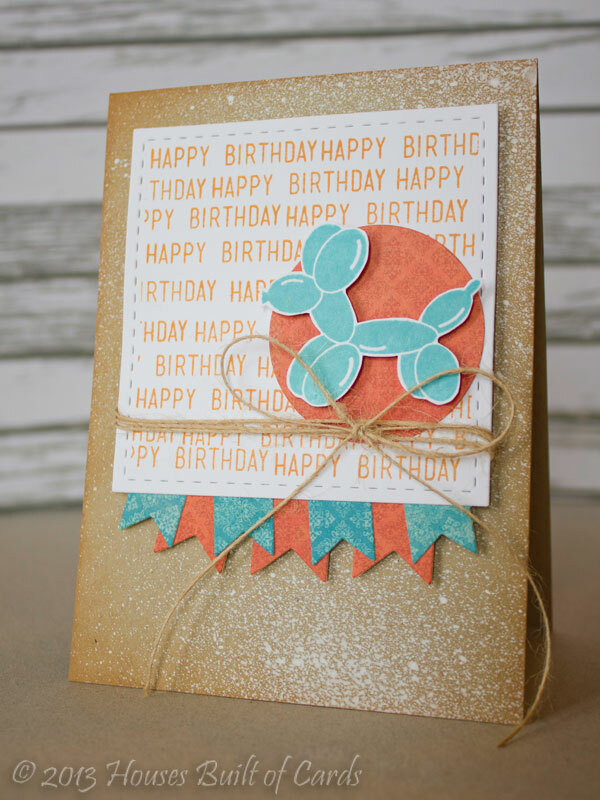 For this card, I used some MME pattern paper, my banner dies are from My Craft Spot, the stitched square is a die from Lil' Inkers, and I used the adorable Party Animals set from Avery Elle - you just can't go wrong with this set! It is SOOOO cute! 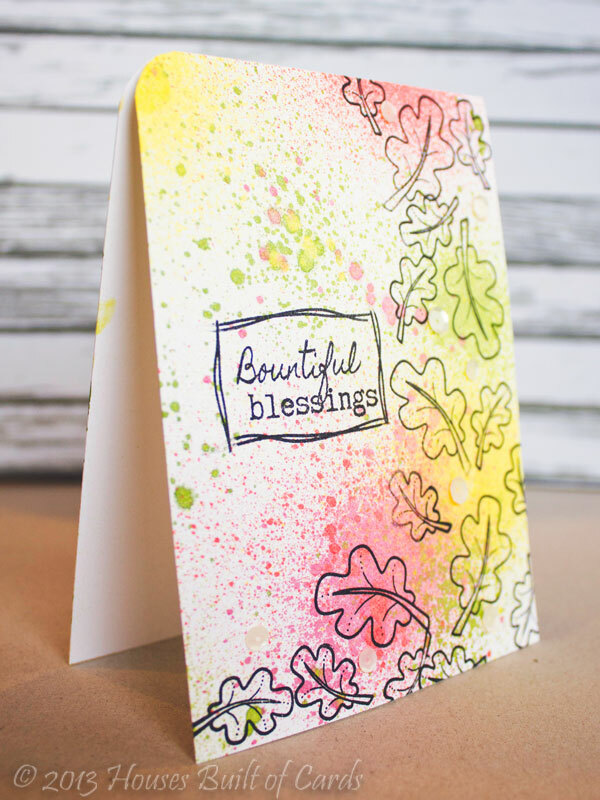 The background is Avery Elle kraft cardstock, misted with Mister Huey's and with a bit of distress ink around the edges. I stamped the sentiment repeatedly for my background, and fussy cut out the balloon animal before adhering with foam adhesive. Finished off with some of my favorite jute twine tied in a pretty bow! Thanks for stopping by today! Hope you are having a wonderful day! Good morning! 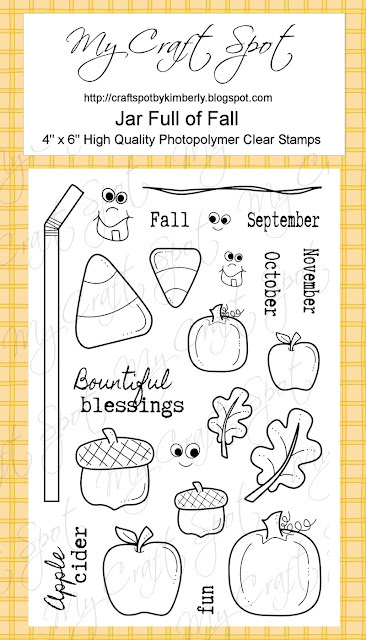 It's the last of day new release sneaks for Neat and Tangled Stamps! 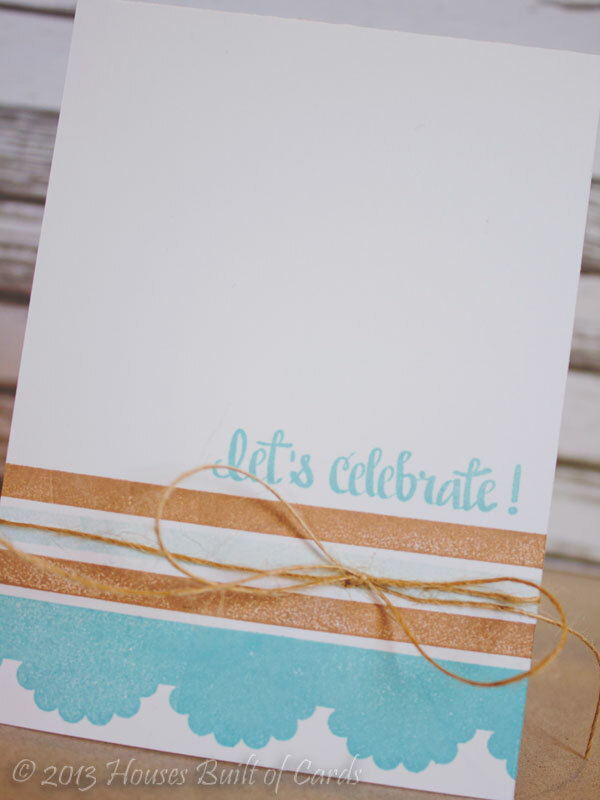 I started off with an Avery Elle kraft paper cardbase, and used a Mister Huey's mask and some embossing paste to make a background. I quickly sprinkled some glitter on the embossing paste after removing the mask, so it would still be wet enough to stick. 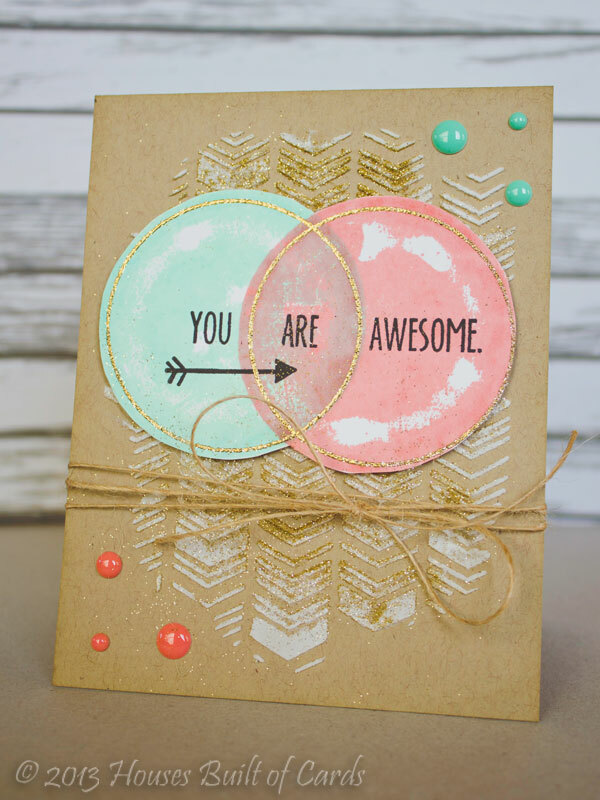 While that dried, I stamped the reverse of the circles with Hero Arts ink in Mint Julep and Fresh Peach, then turned the stamp over, and stamped the outline and heat embossed with gold Zing embossing powder. Finally, stamped the sentiment in three parts across it. I then fussy cut it out. Once the embossing paste had fully dried, I inked the edges with distress ink, then attached the stamped piece with foam adhesive. Added a couple of enamel dots, and a bit of jute twine to finish it off. Thanks for stopping by today! 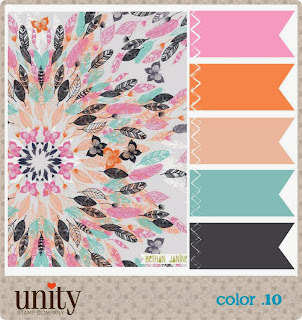 Make sure and head over to Neat and Tangled to see all the other Design Team samples, and to check out the info on today's giveaway! And of course stop by tomorrow for the full reveal and release!!! Have a great day!!! Good morning! 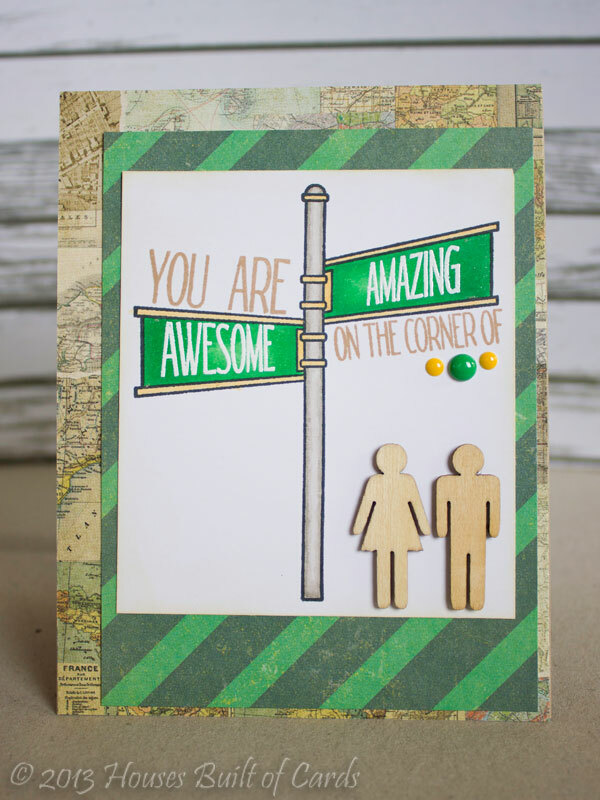 So glad you stopped by for Day 3 of new release sneaks for Neat and Tangled Stamps! I started off by stamping my street sign, and coloring it in with Copic markers. 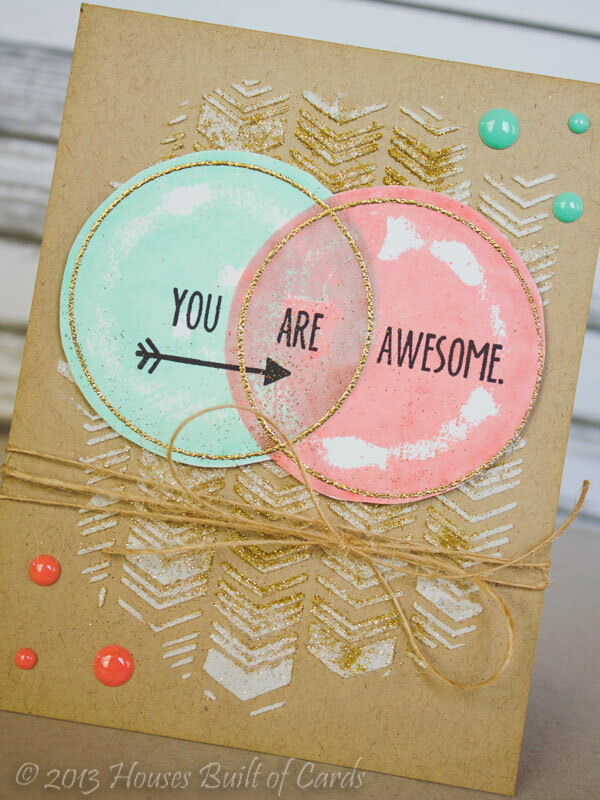 I stamped "AWESOME" and "AMAZING" and heat embossed in white over the coloring, then added the other sentiments with MFT ink. 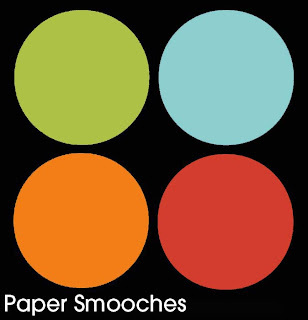 My map paper is from MME, and the green stripe is from a Crate Paper paper pad - LOVE how perfectly it matched my Copic coloring (which is fortunate, since I didn't plan it that way ahead of time!) - I also inked the edge of the white cardstock with distress ink to blend it in a little better and not leave the edges so stark in contrast. Finished off with a couple of wood veneer potty people, and a couple of enamel dots. Thanks for stopping by today! Make sure and head over to Neat and Tangled to see all the other Design Team samples (I can't wait to see what they created with this set! ), and to check out the info on today's giveaway! Have a great day!!! Good morning! 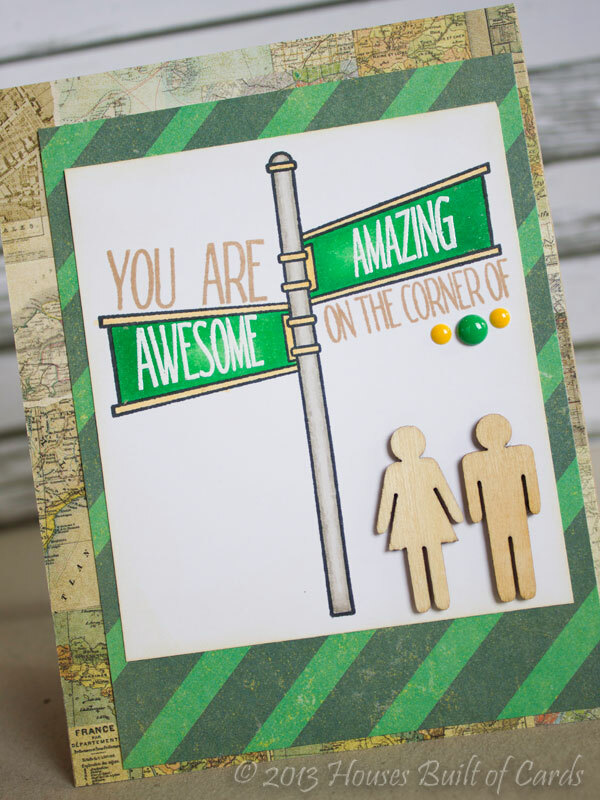 Welcome back for Day 2 of new release sneaks for Neat and Tangled Stamps! 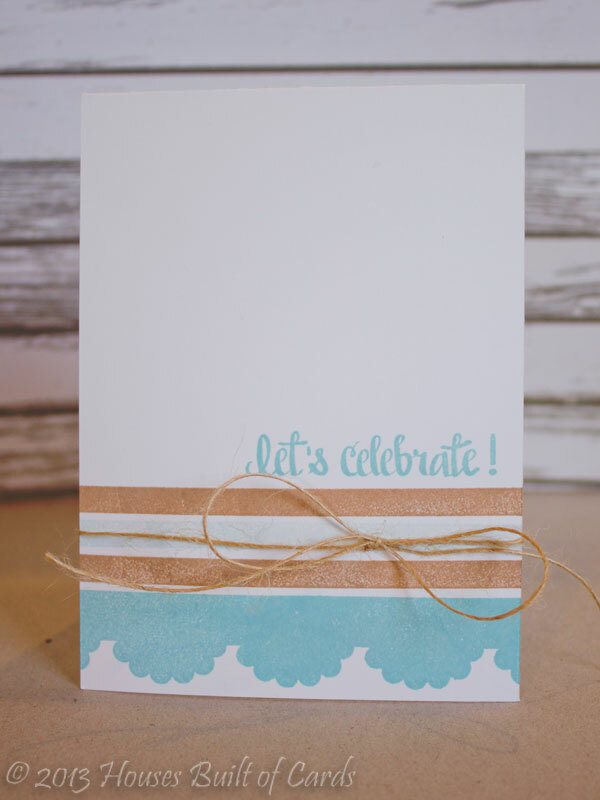 Super simple card - white cardstock, and a couple colors of MFT ink stamped right on the cardstock. 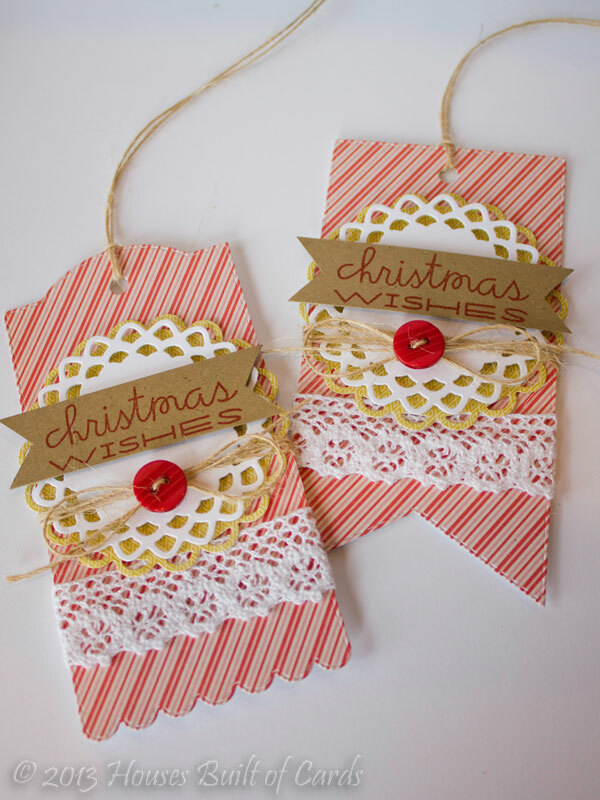 Then - since I couldn't make it a completely flat card, I added a jute twine bow on there too! So pretty - and so simple! 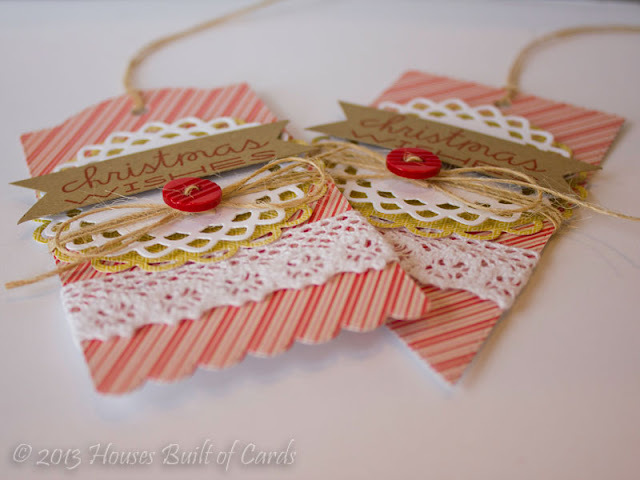 This would be fun to make in several different colors schemes - perfect for a set of cards to give for a gift! Thanks for stopping by today! 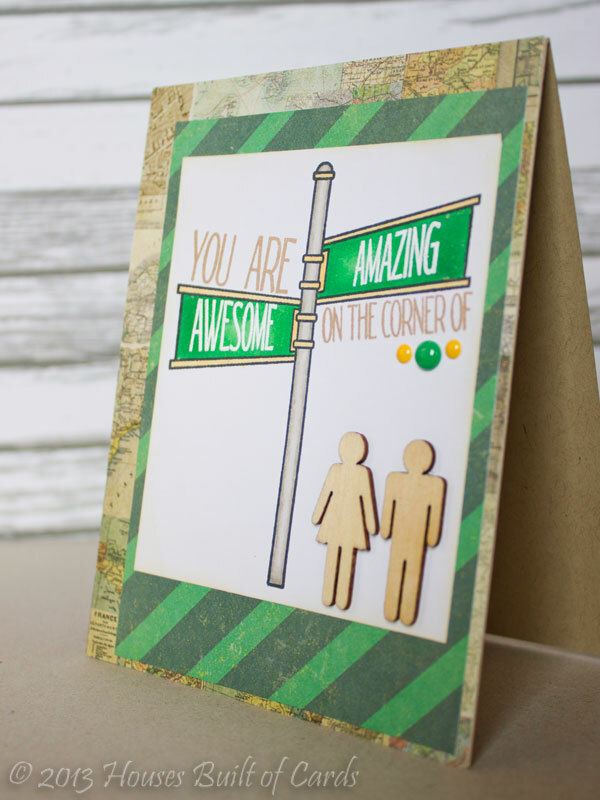 Make sure and head over to Neat and Tangled to see all the other Design Team samples, and to check out the info on today's giveaway! Have a great day!!! Good morning! 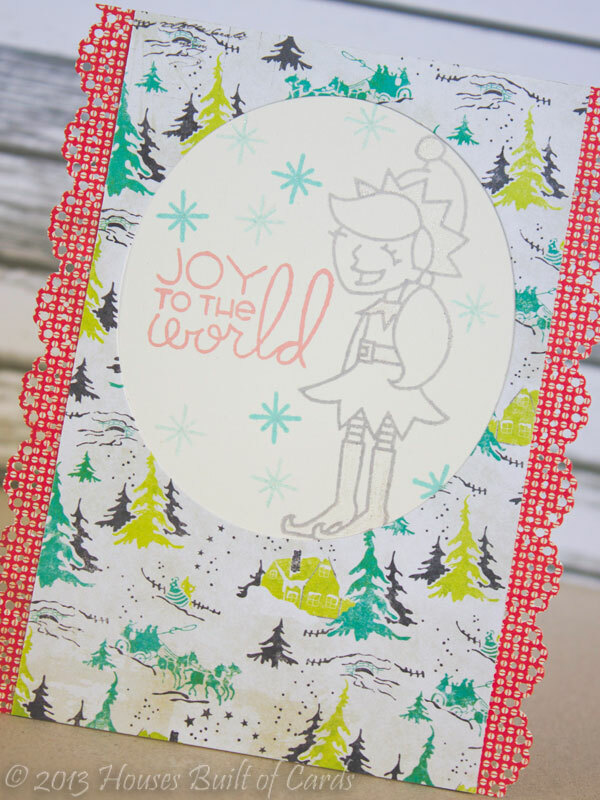 YAY for the start of new release sneaks for Neat and Tangled Stamps! 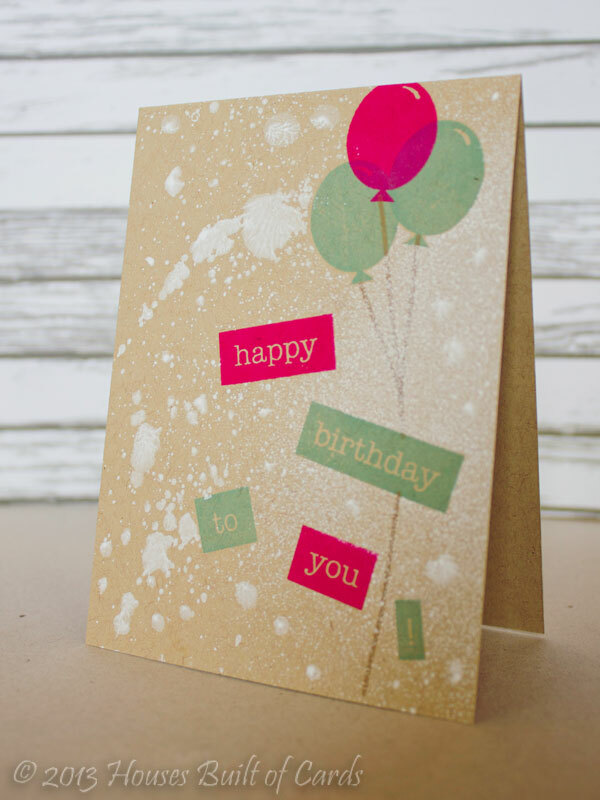 I stamped my sentiment and the balloons in alternating colors of MFT ink on kraft cardstock, then masked them off. Added the strings on the balloons, but bending them on my block and partially inking to make them land where I wanted. Finished off with a spritz of Mister Huey's in white, then blotted it with some plain paper, and removed my masks and let it dry. Hello! 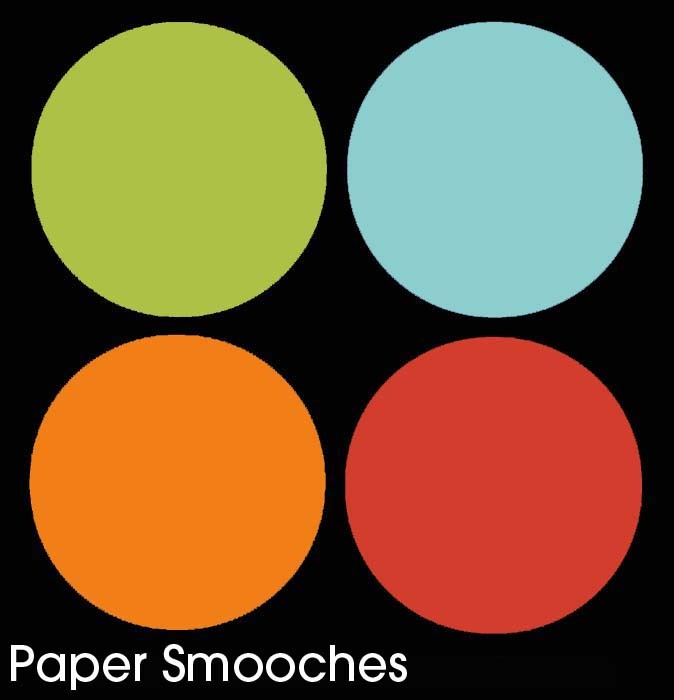 It's time for a new challenge over at Paper Smooches SPARKS challenge! Hard to believe this is my final post for my Design Team term! Can't wait to see who made the new team!!! I made a window using Paper Smooches Ovals 1 Dies, and used some Crate Paper pattern paper for my card. 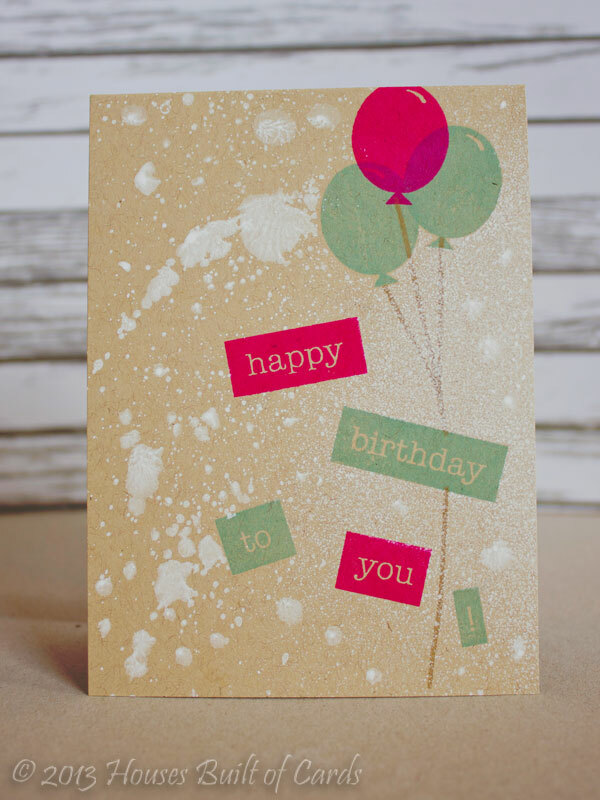 Ink is Versamark and Hero Arts, and I used a Martha Stewart border punch for the side of my card - love the lacy effect! Good morning! Just popping in with a quick card for the current Simon Says Wednesday Challenge - Thanks/Thanksgiving. 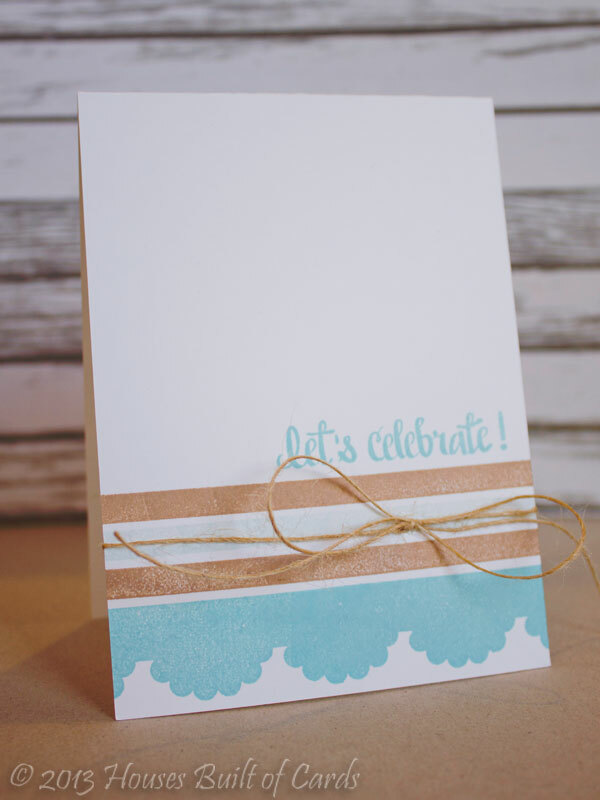 I used some Navy cardstock from Bazzil to make my cardbase, and inked the edges with some blue distress ink. It is a little hard to see in the photo, but adds some fun depth in real life! 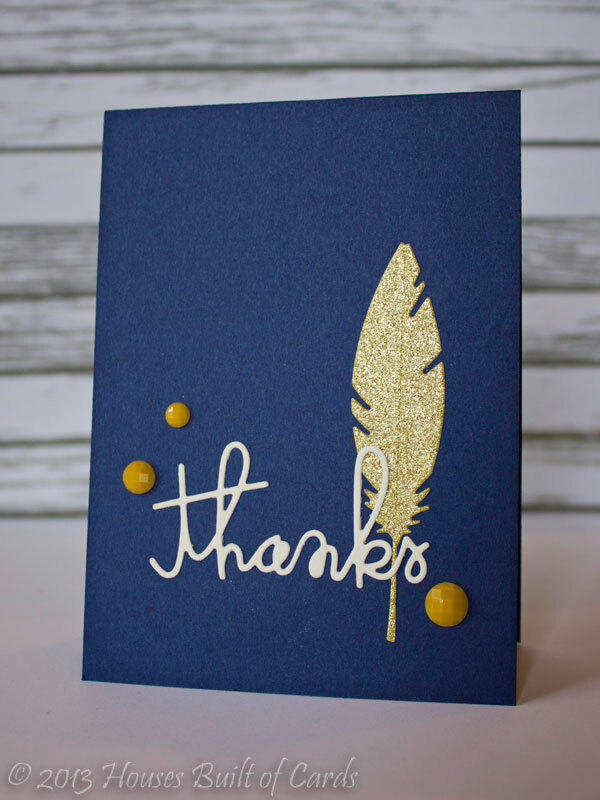 Cut a feather from glitter paper using a Simon Says Stamp die, the Thanks word is by Paper Smooches, and the bling is from Michael's. Thanks for dropping by! Have a great weekend - we are off to help some friends move today! Good morning! 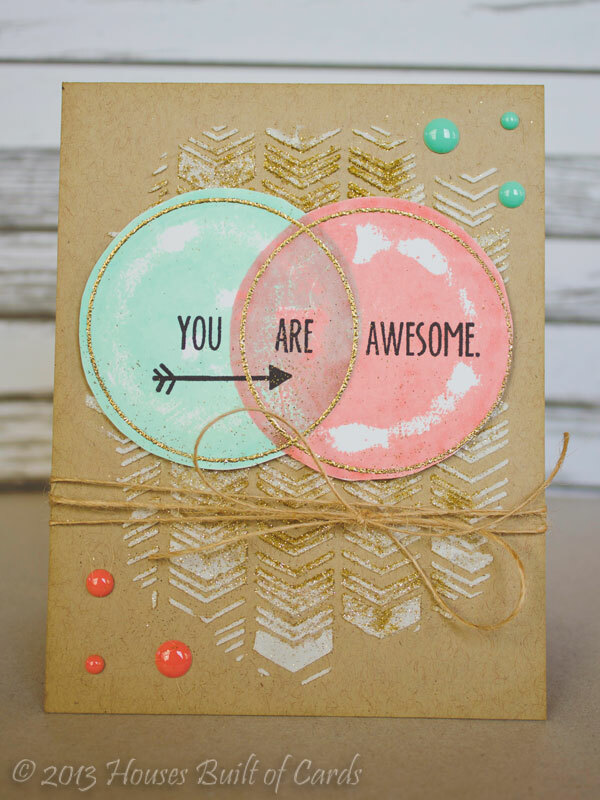 Just popping in with a quick card for Unity Friends with Flair today! I made this with the September 2013 KOTM for a publication call a bit ago, and it wasn't picked up, so I thought I would share it here! Thanks for stopping by today! Hope you are having a wonderful Friday! I also rounded just the top left hand corner of my card to add some balance. And right there is a rare one-layer, easily mail-able card! Thanks for stopping by today! Hope you are having a wonderful day!!! Cath will always be Moxie Fab!!! 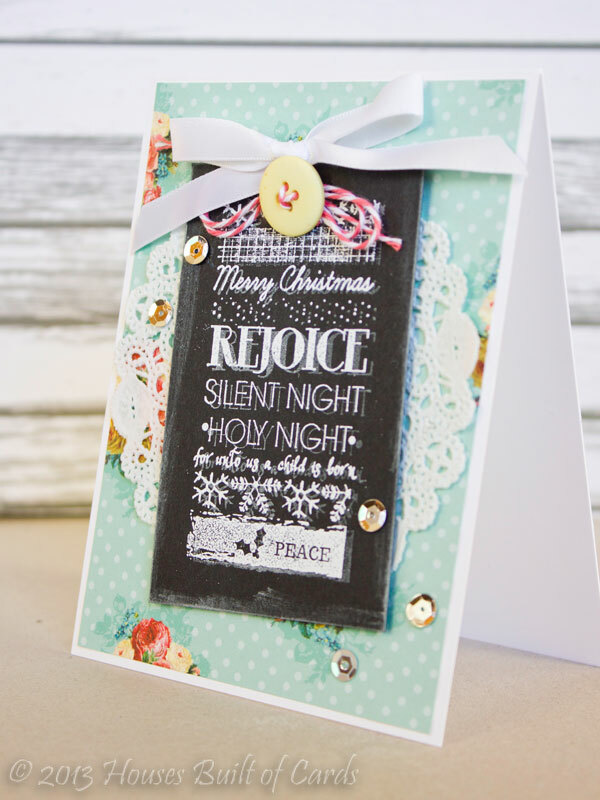 My Craft Spot Release Winner!